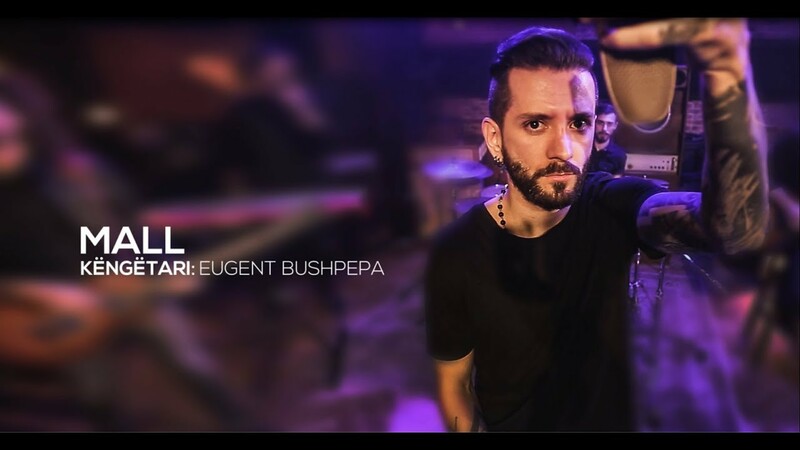 Eugent Bushpepa has won the 56th edition of Albania’s annual Festivali i Këngës with the song “Mall”. After two semi-finals and one grand final, the Albanian jury has decided to award the grand prize at Festivali i Këngës to Eugent Bushpepa and his song “Mall”. Eugent is expected to represent Albania at the Eurovision Song Contest 2018 in Lisbon this May, for which he expressed his intentions to do so during a live interview with RTSH news after the show. This is the first confirmed artist and song combination for Eurovision 2018 to have been announced and performed for the public this year. Eugent Bushpepa performing a reprise of his song “Mall” at Festivali i Këngës 2017 in Albania. Screenshot via RTSH. The winner was chosen by a panel of five judges from the Albanian music industry: Adrian Hila, Limoz Dizdari, Zana Çela, Ilirian Zhupa, and Markelian Kapedani. The final show of the 56th Festivali i Këngës was hosted by Adi Krasta and Joniha Shedu. Eugent, 33, is a rock singer-songwriter from Rrëshen, Albania. He first sang at Festivali i Këngës in 2008 in a duet with Rovena Dilo, where they placed 12th in a field of 20. You can also watch the entire grand final of Festivali i Këngës 56 at their official Facebook page.